OUR OTHER FEATURED BOOKS THIS WEEK, “SHUFFLE AN IMPULSE,” BY BILL DELOREY AND “CLEMENCEAU’S DAUGHTERS,” BY ROCKY PORCH MOORE, CAN BE FOUND BY SCROLLING DOWN BELOW THIS POST. 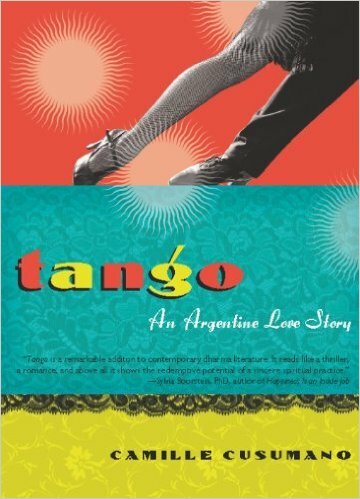 THE BOOK: Tango, An Argentine Love Story. SUMMARY: Tango is a travel memoir, the story of a woman who loved, lost, got mad, and decided to dance. She went to Buenos Aires intending to stay three months and stayed for nearly four years. The book traces her fall from grace, hero’s journey, and ultimate transformation. THE BACK STORY: Camille Cusumano was well-paid editor on a travel magazine and in a long, rewarding relationship when tango upset her universe, at first for the worst, then for the best. WHY THIS TITLE: Tango is more than a memoir about a dance. It has a universal message best expressed in the author’s TEDx Talk in Manhattan, 2013: Tango, the Dance, the Journey, the Transformation. [https://www.youtube.com/watch?v=GQe67b9AnGQ ] It’s the story of every woman’s and every man who is looking for happiness outside her/himself. WHY SOMEONE WOULD WANT TO READ IT: It’s an enjoyable read, a feelgood read, according to the many men and women who have read it and written to me. It might appeal most to baby boomers who have always led the charge toward a more expansive spirituality and who have considered feeding the soul as important as feeding the body and mind. It’s also a great travel companion for anyone considering going to Buenos Aires. — Sylvia Boorstein, author of Happiness is an Inside Job. Camille Cusumano has lived out many a mid-life woman’s fantasy: packing her bags, slit skirts, and tango shoes and spending a year in Argentina. The result is a memoir that is like the dance itself: smooth, absorbing, and erotically charged. 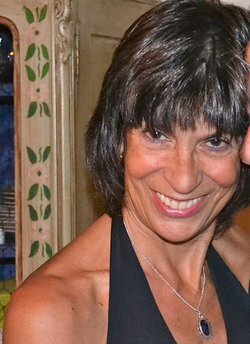 AUTHOR PROFILE: Camille Cusumano is the author of Tango, an Argentine Love Story (Seal Press, 2008), memoir of a woman who loved, lost, got mad, and decided to dance. She has written for numerous publications, including National Geographic Traveler, Islands, Country Living, the San Francisco Chronicle, Los Angeles Times, Christian Science Monitor, the New York Times, and the Washington Post. She is the author of several cookbooks and one novel, The Last Cannoli (Legas) and the editor of the literary travel anthologies on France, Italy, Mexico, and Greece. She was a senior staff editor at VIA Magazine in San Francisco, where she covered travel around the world. She has a new book coming in 2016, Wilderness Begins at Home, Travels With My Big Sicilian Family. AUTHOR COMMENTS: Tango was a great experience for me before, during, and after the writing. I had been editing anthologies on France, Italy, Mexico, and Greece for Seal Press, when they decided they wanted a single-author book and the universe provided this experience covered in the book. PRICE: about $15 – but much cheaper used and you can get it on Kindle or e-readers. I am not a dancer, but I knew a woman in Sarasota who lived to go to Argentina a couple times a year just to Tango. It sounded exhilarating. Thank you so much for the phrase, ” baby boomers who have always led the charge toward a more expansive spirituality and who have considered feeding the soul as important as feeding the body and mind.” So that is what I’ve been doing all these years when I’ve trashed my existing life for something I knew had to be better, but could not see or prove at the time.